Styling itself as a community “Where Families Grow and Businesses Prosper,” Westchester is one of Southwest Ohio’s most livable towns. This rapidly-growing community boasts a prime location close to Cincinnati as well as renowned public schools offered by the Lakota Local School District and a vibrant economy anchored by manufacturing, technology, healthcare and education. It also enjoys easy access to several nearby highways and Cincinnati International Airport, one of the largest and busiest airports in Ohio. With its family-friendly character, upscale appeal and convenient proximity to Cincinnati, Westchester stands out as one of the most desirable places to live in Southwest Ohio. Westchester OH real estate enjoys a prime location, solid value and reasonable interest rates. Westchester OH homes include everything from single-family homes to starter homes to new condos and multifamily homes, offering something for everyone. Westchester homes for sale and other Westchester properties are ideal for commuters to Cincinnati, young professionals and families looking for somewhere convenient and affordable to live. Westchester homes and other Westchester real estate options also offer very reasonable property prices, making homeownership affordable for just about every prospective buyer. The town, originally known as Union, was established in 1823. Once a farming and trading community, it experienced robust population growth in the late 20th century and was formally renamed Westchester in 2000. Today it is one of Cincinnati’s premier suburbs, home to acclaimed public schools, attractive homes and abundant parkland. The town boasts more than 416 acres of idyllic parkland and numerous recreation and community facilities to enjoy year round (http://www.westchesteroh.org/CSParks.cfm). Just a few of Westchester’s top parks include Keehner Park, Beckett Park and the bucolic Voice of America Park, operated by MetroParks of Butler County. Westchester hosts a wealth of attractions to discover. Voice of America Park is a fantastic place to relax and unwind while the interesting Voice of America Museum is a must-see site as well. The Square @ Union Centre (http://www.westchesteroh.org/CSParksSquare.cfm), meanwhile, offers a wide variety of restaurants and shops to enjoy. Other great attractions in the town include the Westchester Library, the Westchester Activity Center and the scenic Upper Mill Creek Conservation Corridor (http://www.westchesteroh.org/CSParksCorridor.cfm). Local events and festivals include events at the Westchester Activity Center and the Westchester Library, concerts in Keehner Park, the After-Hours on the Square @ Union Centre (http://www.westchesteroh.org/TheSquare.cfm) festival and much more. Homes for sale in Westchester and other real estate in Westchester are among the most coveted in Southwest Ohio. Those interested in becoming a Westchester home buyer should contact a local real estate agent right away to find out more about this great town. Few other communities in the region offer the livability, location and family-friendly appeal that Westchester does. 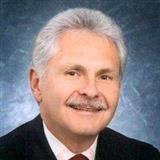 Contact Mark Schupp today for assistance with Westchester OH real estate.